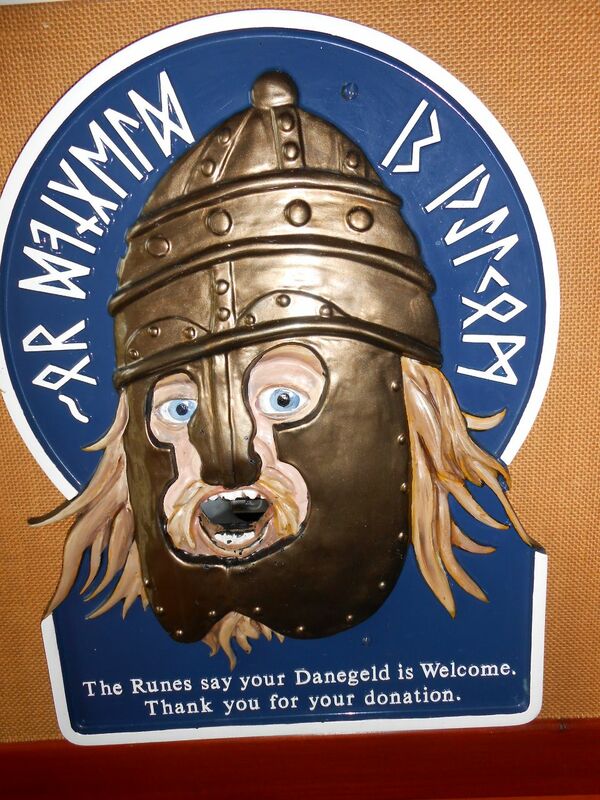 A donation box in the Orkneyinga saga Centre in Orphir, Orkney, featuring an open-mouthed face (viking?) with accompanying runic inscription. 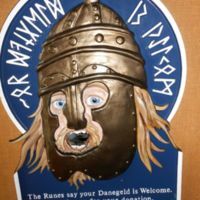 'The Orkneyinga saga Centre, Orphir, tells the story of the Norse Earls of Orkney using The Orkneyinga Saga and an audiovisual display. The Round Church and the ruins of Norse buildings, believed to be the Earls Bu, are close by. Open: daily, dawn till dusk."